Excess capacity will be our society’s next gold rush. Photo by Chiu Ho-yang/Flickr. From the breakdown of conventional ways of creating and sharing wealth to rising temperatures and increasingly extreme weather events, linear models of development are no longer providing an answer to the pressing challenges that the world is facing. At least, that’s the view of Zipcar’s co-founder, Robin Chase. Her new book Peers, Inc is a manifesto for a new 21st century economy that she believes can unleash untapped potential. Chase presents a model called Peers Inc that describes how different economic actors can interact with one another. The model has three main parts: the “Inc”, large organizations or governments; the “Peers”, individuals; and a “platform”, an enabler that allows companies, government, and individuals alike to focus on what they do best. Creating the right conditions for these platforms can generate exponential growth, rewarding society and future generations with better, more sustainable lives. National governments and society at large have failed to address a range of challenges that have been steadily growing over the past century. 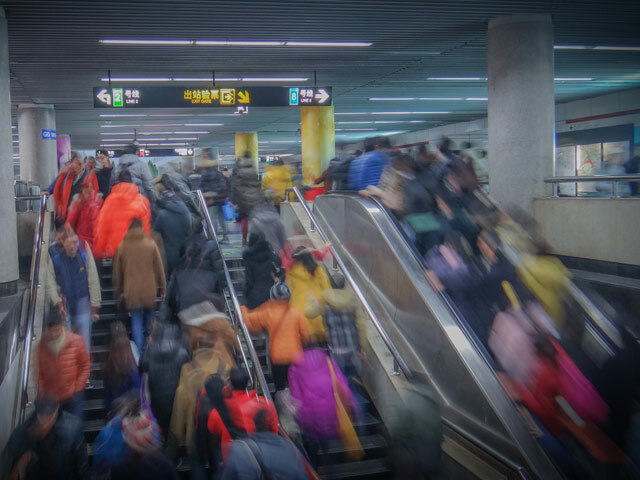 Widespread population growth (on track to 9.6 billion by 2050) is producing a global middle class that is straining cities’ ability not only to curb material consumption but also to meet people’s basic physical needs—much less their social and spiritual needs. Chase highlights some of the ways in which climate change will be real for all of us—not just for our kids or grandkids (something that the U.S. population does not currently recognize at the individual level). Referencing the World Bank’s “Turn Down the Heat Report” multiple times, she does not shy away from looking at these challenges straight in the eye. Enter Peers Inc—the concept behind Robin Chase’s car-sharing company, Zipcar, and dozens of other innovations like AirBnB, WhatsApp, and Skype. Peers Inc is a combination of what companies and governments do best — raising heavy loads of capital, making large investments, and standardizing production and processes — with what individuals contribute best — localization, personalization. Peers and “Inc” meet and co-create through an enabling platform, which makes it possible for larger organizations to unleash individuals’ potential. While there are already plenty of examples of sharing physical goods through online platforms (think AirBnB or Zipcar), the model can also be applied to many public goods: radio, open data, bitcoin–anywhere expensive ventures and infrastructure can be built upon so that individuals can express their creativity and collectively innovate, unleashing benefits for the individuals and society as a whole. For example, initiatives using a Peers Inc model have proved successful at taking cars off the road or preventing new ones from being added. And as transport is one of the main greenhouse gas emitters (In 2011, transport made up about 22% of global GHG emissions), models like car-sharing company Zipcar or long-distance ride-sharing company BlaBlaCar are successful at making a dent in reducing emissions. Blabacar has prevented over 750,000 tons of CO2 emissions, the equivalent of annual emissions from 158,000 vehicles. Robin Chase presents Peers Inc as our best shot for tackling our generation’s challenges—particularly climate change—but she also has words of caution, warning about monopolies that place too much power in the hands of the Inc. However, there are ways to push back. Governments can use antitrust to limit monopolies, but individual people are also a powerful part of the Peers Inc model. Peers who demand diversity can prevent monopolies from forming. They can also get rid of “the Inc” altogether, assembling as Peers to create decentralized platforms, like the stateless Bitcoin. A second challenge comes from the disruption that the Peers Inc model can have on employees and work. Platforms increase the competition between unprotected individual workers — like Uber “drivers” who compete with each other and receive no benefits from their employer, risking decreased pay for their work (though California is currently challenging that). To counter this risk, Chase proposes a new social contract in the 21st century: a guaranteed minimum pay for everyone — regardless of their employment status — and universal access to benefits like health care. While many commentators think the advent of a Peers Inc economy is inevitable, empowerment and protection of the workers is not. Therefore, government and civil society need to fight harder to enable the right conditions for the framework to succeed. What’s in It for Cities? Once you have read the book, you can’t stop looking for excess capacity that could be unleashed through a Peers Inc model. Cities are a prime concentration of excess capacity: cars sit empty and unused 95 percent of the time, password-protected WiFi networks sit unused all day at home when people are at work, houses and apartments are empty when people are out of town on weekends or vacation, road space is used by just a few people sitting in cars when it could support many more people as lanes dedicated to transit, school gyms and amphitheaters closed at night and on weekends when associations could use them, front lawns that could be turned into urban gardens… What excess capacity will you help tap into? In the face of climate change, says Robin Chase, people usually go through four phases: denial, anger, depression, action. Peers Inc addresses the head-on challenges that we all face as enablers. It’s a call to action and a recipe for change so that every one of us can partake in creating the world we want to live in. Editor’s note: Robin Chase is a World Resources (WRI) Board Member. WRI’s sustainable cities program is the editor of this blogging platform, TheCityFix.